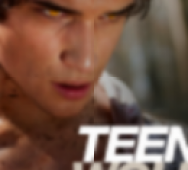 MTV announced Teen Wolf Season 6 would conclude the TV series. This last season will end with 20-episodes. Check out the official press release and teaser trailer below. I don’t know how many of you continued to watch the series this far but share with us your thoughts in the comments below. AMC’s The Walking Dead Season 7 Comic-Con Hall H panel will feature these new character images teasing which character is the victim of Negan’s bat Lucille. The San Diego Comic-Con 2016 will have some keen Walking Dead fans looking to pry any sliver of detail on who that victim is. Watch all ten images below and share your thoughts on who you think the victim will be. 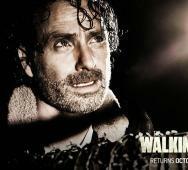 We used the Rick Grimes (Andrew Lincoln) image since he is the most unlikely victim. 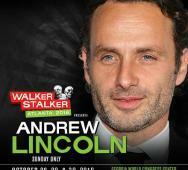 Walker Stalker Con Atlanta is among the biggest of the events held year long for AMC’s The Walking Dead TV series. A notable highlight in this years 2016 Walker Stalker Con 2016 is that Andrew Lincoln, who plays the lead character, Rick Grimes, will also be in attendance. Lincoln will only attend for one day only on Sunday, October 30, 2016. Lincoln will participate in the panel and photo-ops. It is worth noting, Lincoln’s profits made from conventions are donated to charity. Walker Stalker Con Atlanta 2016 will be held at the Georgia World Congress Center. The event will take place on October 28 - 30. Below we listed the entire impressive cast turnout for The Walking Dead event. 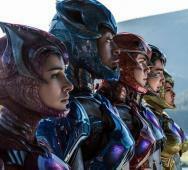 New photo for the new Power Rangers (2017) has them looking more like the Silverhawks. They appear more metallic and shiny which may not be a bad thing as a whole. Dean Israelite‘s Power Rangers releases in movie theaters on March 24, 2017. The Rangers are played by Dacre Montgomery as Jason the Red Ranger, RJ Cyler as Billy the Blue Ranger, Naomi Scott as Kimberly the Pink Ranger, Becky G as Trini the Yellow Ranger, and Ludi Lin as Zack the Black Ranger with Elizabeth Banks as the main villain Rita Repulsa and Bryan Cranston is playing Zordon. 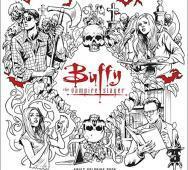 Joss Whedon‘s Buffy the Vampire Slayer Adult Coloring Book will include 45 original illustrations from the artists who worked on Dark Horse Comics’ Buffy the Vampire Slayer Season 8, 9, and 10 comic series. You can pre-order this adult coloring book on Amazon for $14.99. Director Tripp Weathers’ American Exorcist (2016) is his latest film dealing with the former victim of a demonic possession who was left with powerful abilities. 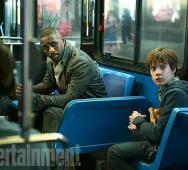 Check out the new photos below courtesy of Thriller Films. Michael Filipowich (Longmire), William McKinney (Blue Like Jazz), Kate Tumanova (Ribbons), Braxton Davis (Samurai Cop 2), Jessica Morris (Sorority Slaughterhouse), and Jennifer Lee Wiggins (I Am Omega) star in American Exorcist. 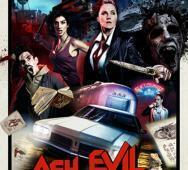 American Exorcist is produced by Justin Jones, Scott Carlson, Braxton Davis, Rhett Giles, and Zeus Zamani. Cutting straight to the point, El Rey’s From Dusk Till Dawn Season 3 will premiere on September 6, 2016. Miramax and the El Rey Network revealed this news earlier today in an official press release included below. D.J. Cotrona, Zane Holtz, Eiza Gonzalez, Jesse Garcia, Madison Davenport, Brandon Soo Hoo, Emily Rios, and Jake Busey return to star in From Dusk Till Dawn Season 3 with Robert Rodriguez at the helm. 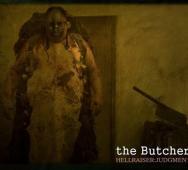 Dimension Films and director Gary J. Tunnicliffe‘s Hellraiser: Judgment (2017) have revealed two new cenobites for the upcoming Hellraiser film. These new cenobites are named “The Butcher” and “The Surgeon”. Would love to hear your take on these cenobite designs, is it right? This film stars Heather Langenkamp, Damon Carney, Randy Wayne, Alexandra Harris, John Gulagher, Mike Jay Regan, Diane Goldner, Andi Powers, Jeff Fenter, Helena Grace Donald, Grace Montie, and Paul T. Taylor as Pinhead in Hellraiser: Judgment. Here are sixteen photos and three preview videos for Freeform’s Dead of Summer Season 1 Episode 104 titled “Modern Love.” Read the synopsis and watch the video below. Elizabeth Mitchell, Elizabeth Lail, Mark Indelicato star in Dead of Summer Season 1. Read our top list featuring the best Guillermo del Toro movies directed by this modern horror icon director. 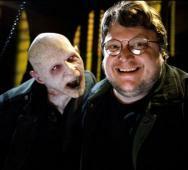 Guillermo del Toro directed his first horror film titled Cronos (1993) which melded the vampire world with a valuable artifact from the Renaissance era. Del Toro then brought us Mimic (1997) which was a film I remember watching as a child thinking that it was different from any other movie I had seen at that time. He then stepped into the Marvel horror movies with Blade II (2002) escalating the action and scare factors back in the Blade franchise. Recently, Guillermo del Toro brought us his gothic romance in the form of Crimson Peak (2015). I just cannot get enough of Nikolaj Arcel‘s The Dark Tower (2017) movie adaptation from Stephen King‘s The Dark Tower book series novels. 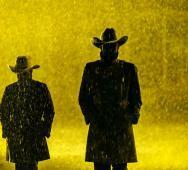 The photos show more of Roland Deschain and other characters along with the sceneries. Katheryn Winnick, Idris Elba, Jackie Earle Haley, and Matthew McConaughey as The Man in Black. American Horror Story: Hotel is releasing on Blu-ray / DVD this upcoming October 4, 2016, via Twentieth Century Fox Home Entertainment. FX’s American Horror Story Season 5 will only include two special features on the disc detailed in the press release below. Kathy Bates, Angela Bassett, Matt Bomer, Denis O’Hare, Sarah Paulson, and Lady Gaga. Jumping into the new episode of AMC’s Preacher with episode 109 titled “Finish the Song” we have new photos and preview videos. There are only two more episodes in this season of Preacher, so you already know things are going to escalate quickly from now. Spike TV‘s The Mist Season 1 on starts filming this Summer 2016 in the TV adaptation of Stephen King‘s 1980 novel The Mist. Morgan Spector is set to star in the lead role of Kevin Cunningham. We still have a long wait for the premiere of The Mist, which is still scheduled for an open 2017 premiere date. 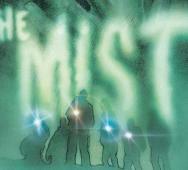 Gus Birney, Dan Butler, and Luke Cosgrove will also star in The Mist Season 1. Josh Stewart‘s The Neighbor (2016) is co-written by Marcus Dunstan (also director) and Patrick Melton, which is a great reunion of this team since The Collection (2012). This film will get a DVD, Digital HD, and VOD release on September 6, 2016. 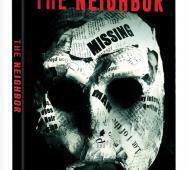 Josh Stewart, Luke Edwards, and Alex Essoe star in The Neighbor. The latest episode of Cinemax’s Outcast Season 1 comes in episode 106 titled “From the Shadows it Watches.” This episode airs tonight, July 15, 2016, at 10:00 pm EST. 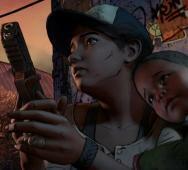 This episode is written by Joy Blake and directed by Tricia Brock. Read on for the official synopsis below along with photos and preview videos. 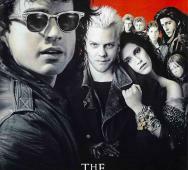 THE LOST BOYS Sequel Comic Book Announced! Netflix‘s Stranger Things Season 1 premieres this upcoming July 15, 2016, on Netflix. This video opens up the story by taking us back in time for eight minutes in 1983. Tell us what you think, watched this video with my son and he was not over thrilled nor bored. 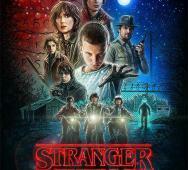 Winona Ryder, David Harbour, and Finn Wolfhard star in Stranger Things Season 1.